Deco Bespoke is a service we offer to give your equipment a new lease of life. 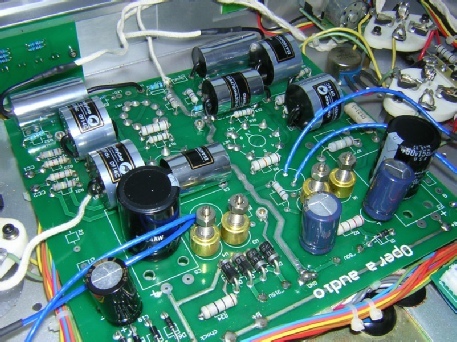 Very few products on the market can be considered truly without compromise, some manufacturers don't realise the significance of component quality but in many cases it's simply due to budgetary constraints. With a Deco Bespoke upgrade you get an enhancement which is carefully considered to give the largest improvement for the budget, without unbalancing the resultant sound quality by using some of the very finest parts available. We prefer to work with products that follow our ideals, such as valve designs, filterless digital components and efficient speakers as we feel we know what they will respond especially well to, but will consider most other items too. We have also worked on components as diverse as cartridges and CD transports, so feel free to contact us with your requirements to see what we can do. Nothing is too extreme, we will honestly appraise the suitability of a product for treatment. Naturally these modifications may not be approved by the original manufacturer, and may invalidate their warranty, however in many cases we’re able to take on any remaining warranty (please ask us for details) and of course we fully guarantee all the work that we do. As the saying goes we ‘cannot turn a sows ear into a silk purse’ but if you have a cherished product and feel the need for an upgrade then this service could be just for you. 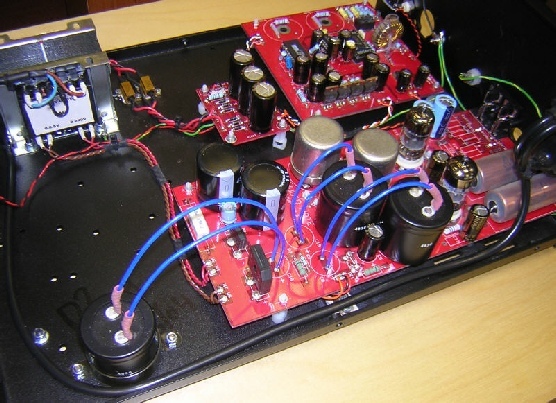 These are the most commonly asked for modifications we do and where good improvements in sound can often be found very easily. For many designs a simple rewiring with high grade cabling will yield very worthwhile improvements (you’d be astonished at how basic the wiring inside many speakers actually is), we can use whichever wiring you currently prefer or alternatively recommend using Atlas Hyper cable (a very neutral sounding design offering exceptional value for money) or our own cotton covered silver wire for the very best results. We are also able to convert bi wire speakers to single wiring, removing the poor sounding external bi wire links from the equation. 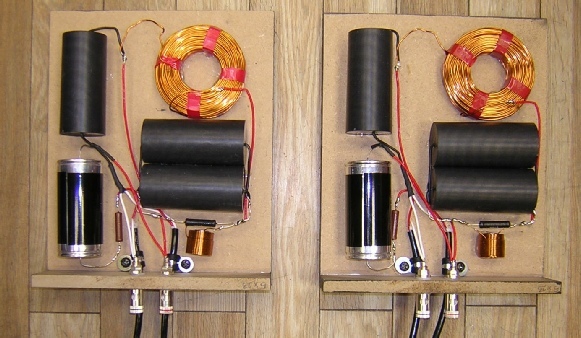 Conversely we are also able to bi wire speakers that are manufactured as single wired only, which is especially useful if you want to multi amp your speakers. 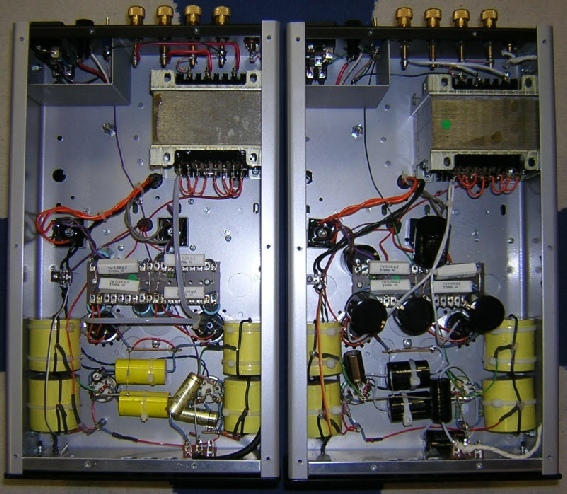 The next level of improvement is to replace selected components where necessary, high grade capacitors are expensive items which most manufactures skimp on, so upgrading these, especially when used in the high frequency parts of the crossover, can yield some very large improvements for a comparatively small outlay. 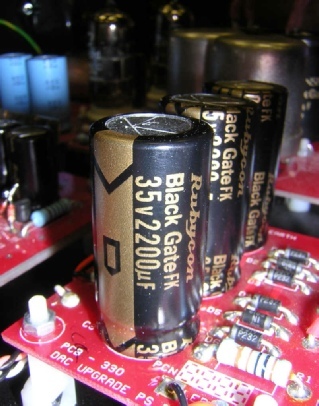 Changes in the products voicing are also possible with careful part selection, for example paper in oil capacitors sound quite different from polypropylene ones, so we are able to work with you to ensure the resulting sound meets your requirements. The ultimate upgrade is to remove the crossovers from the cabinets, this yields a more dynamic and focused sound as the components are kept away from vibration and magnetic fields. It also allows us to fully optimise circuit layout often with a combination of hard wiring, star wiring and improved positioning to reduce the wound components ‘talking’ to one another. 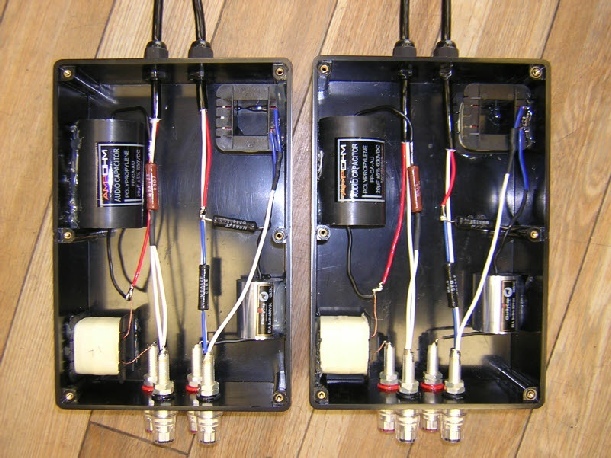 The crossovers can be housed either in simple and affordable ABS enclosures or we can have high quality wood cases made to order. 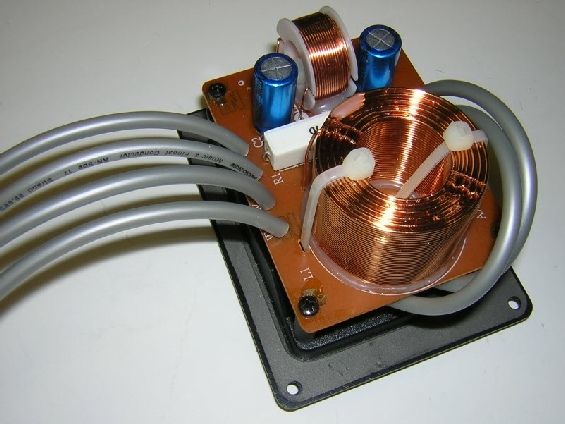 Custom wound air cored inductors are often the icing on the cake and changes to the wadding material and damping will often be worthwhile, although these changes are some of the most time consuming as extended listening and experimentation is often required. 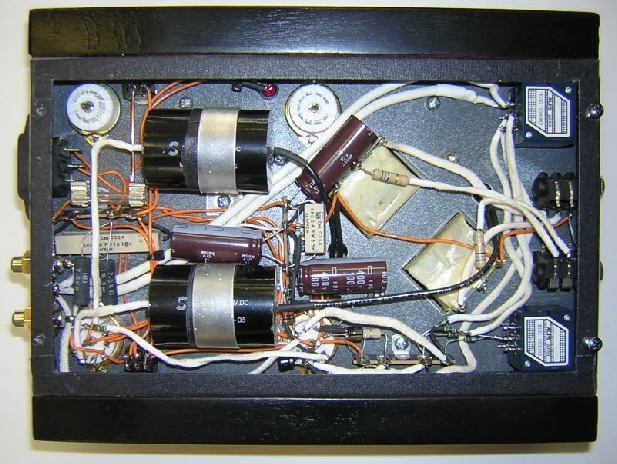 Above: Audio Note AX2 crossover converted to single wire, fitted with high quality Audio Note terminals and all internal wiring replaced throughout with Audio Note AN-SPe silver wire. 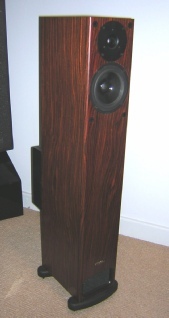 This speaker responds massively well to upgrades such as these, realising even more detail, speed and transparency. 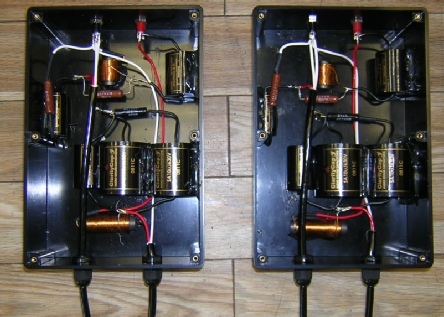 Above: Audion Silver Night 300B PSE mkII monoblocks, below shows internals of standard (left amplifier) and modified (right), these were fitted with Mundorf Silver/oil capacitors, with Cerafine and Mundorf electrolytic capacitors (the latter of which are much larger than standard and very tricky to squeeze into place). All signal wiring replaced with 99.99% pure silver. 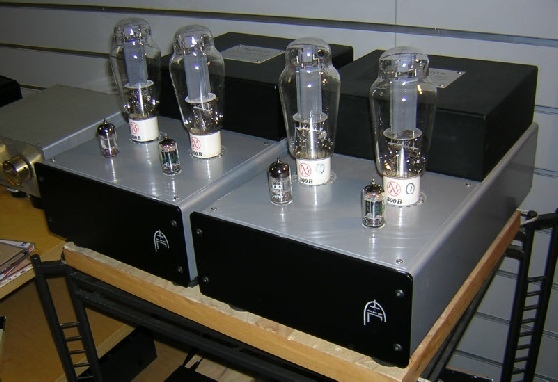 This mod resulted in a major increase in performance (and that’s saying something as these amplifiers are superb in standard form). 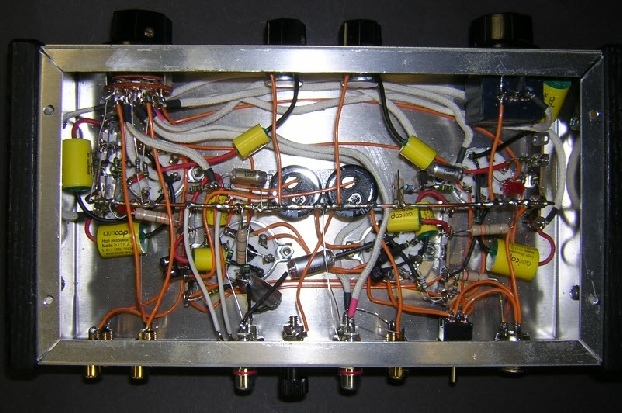 Above: Audio Note DAC capacitor upgrades, AN silver digital input transformer etc. 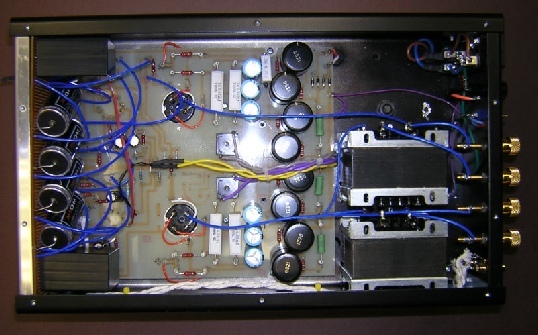 Above: Consonance Cyber 100 amplifier, silver wired and fitted with capacitor upgrades. 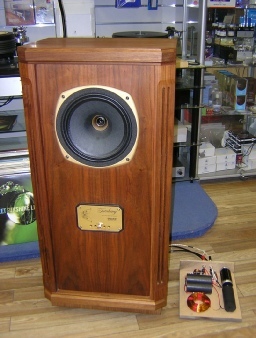 Above: Tannoy Turnberry speakers, hardwired external crossover fitted with upgraded components. Crossovers mounted on simple base at request of customer who will make a matching Walnut crossover box. 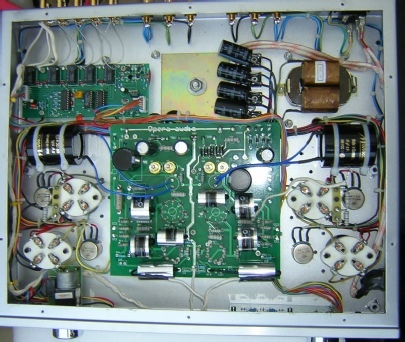 Above: One of many Audion Amplifiers that we’ve upgraded, this is a Silver Night MK1 which included silver wiring and paper in oil caps used throughout the signal path etc. 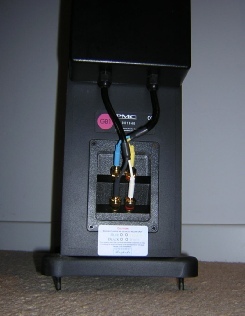 Above: PMC GB1+ fitted with ‘piggyback’ external hard wired crossovers, speakers rewired throughout and fitted with upgraded crossover components. Above and below: Mapletree Audio Designs phono stage and headphone amplifier rewired with our cotton covered silver wiring and some unused parts of the circuit/controls bypassed.